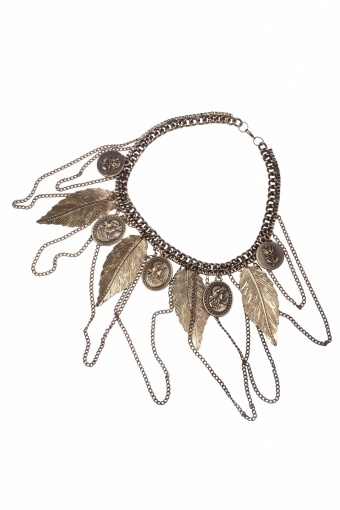 Vintage inspired 40s Coins and Leafs bronze necklace by From Paris With Love! 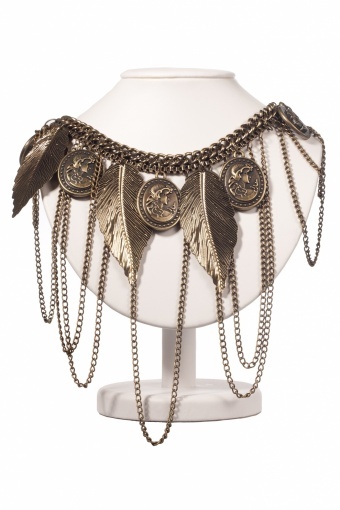 Very cool, one-of-a-kind double chain necklace. 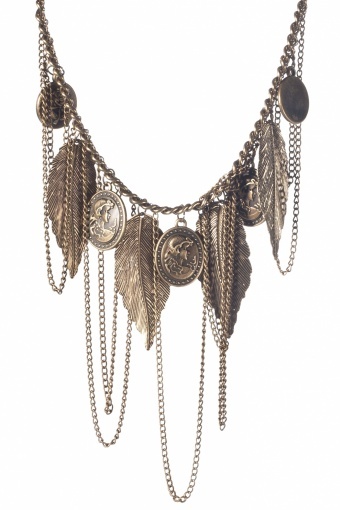 Richly decorated with coins, leafs and fine chainlets. Great eyecatcher! Material: antique look gold coloured metal (nickelfree) with lobster closure.